Since the beginning of the year, I’ve been tracking parties, commissions, team commissions, and any other number I can. I love comparing to see where my business was, how far I’ve come, and set goals for the future. I truly love this business, and spending time “working” on it, doesn’t feel like work, but the reality is, its my job, and I need to make sure I’m making enough for the time I’m putting in. 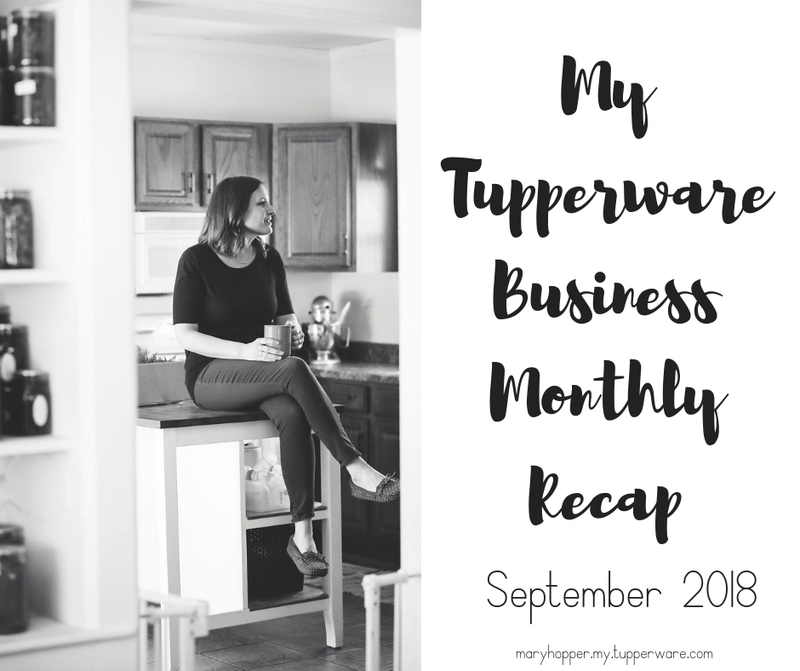 I plan to assess each month from here on out not only for myself, but for those considering giving Tupperware a try as a means of income for their family. Some thoughts on how I spent my time: 3 cancellations this month hurt. I also didn’t have a great turn out to my open house, so there wasn’t a lot of sales generated from the hours I put in. Not all activities or commitments I do for Tupperware are income producing, however I have had great open houses in the past and dated parties from them. I spend a lot of time on weekly calls and trainings, but these are the things that keep me excited about my business and I consider those an investment in myself, making me a better person and business owner. How do I feel about the month? It wasn’t my best month, and it wasn’t my worst. I would have loved to see a little more commission come in, but I know that most of the activities I did this month moved my business forward. I did a few team member’s parties, which aren’t income producing for me directly, but I did date parties from them, and was able to do training for team members at them. What went right? I had FUN partying this month. I also had a lot of fun attending events and connecting with new team members. We had a lot of people join our Party Animals team in August! What went wrong? Our team sales were not what I was hoping for, and I know that it starts with me. I had 3 cancellations on my calendar this month, and I didn’t work too hard to fill them. I always have to decide if I work, or if I spend time with my family, and knowing that October is going to be crazy, I chose my family. Our goal is always $20,000, and we haven’t hit that yet. I would love to see us go well over that in October. What will I do different next month? Front load my month. What I do, my team tends to do. I am excited to have a majority of my parties happen in the beginning of the month, so I don’t have to hustle so much in the last 2. I can help support my team more in those final weeks of the month. It’s a constant balance of working my own business (so important when you become a leader), and supporting my team. I love both so much. I am looking forward to growing our Party Animals team, helping others find a way to create extra income for themselves and their families and also be more confident in everything I do.